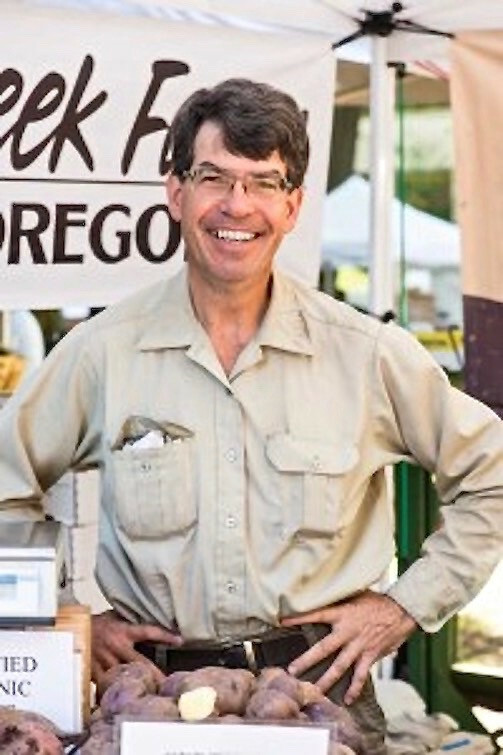 Oregon-Tilth certified Prairie Creek Farm is located in Joseph, Oregon, where it was founded by Gene Thiel on the belief that no sacrifice is too great for the farmer who is doing what's best for the health of the land and his customers. Son Patrick Thiel has continued his father's legacy, providing a long list of reasons Portland’s most accomplished chefs seek out Prairie Creek Farm's renowned organic potatoes, carrots and beets. Glacial silt soil at the foot of the Wallowa Mountains produces a depth and complexity of flavor that simply cannot be matched. The moraine’s soil and the organic methods used combine to produce levels of nutrients that one organic vitamin company’s tests determined to be “off the charts.” It's 4,500 foot elevation leads to early sweetness from early freezes.